Kimono were the traditional clothing worn by Japanese and are often still worn today for festivals or very formal events. Some of the older Japanese men and women still wear kimono on a daily basis. If you are looking to really delve into and experience Japanese culture, renting a kimono for the day is probably one of the best ways to do it. 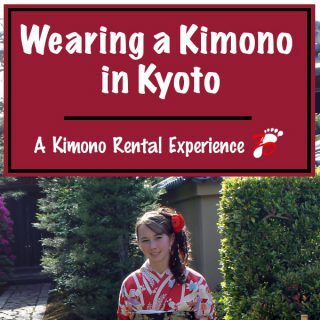 Find out what it’s like wearing a Kimono in Kyoto, how much it costs, where to rent one and more! With it’s cool buildings (traditional and modern) and bountiful activities, it’s no surprise that Osaka makes it into many Japan itineraries, especially for first timers. Personally, I think the perfect amount of time to spend is 2 days in Osaka. It gives you enough time to check out all the city’s major attractions without feeling too rushed. 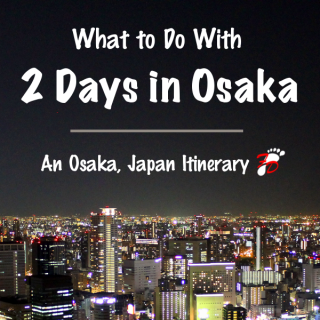 Keep reading to find out what to put in your 2 day Osaka itinerary! Heading to Tokyo soon? Trying to figure out what to do there? Tokyo has LOTS of things to see and do, so much so that it can often be hard trying to figure out how to see all the best parts of the city with a limited amount of time. If you’re trying to figure out how to spend your time there, check out this 5 and 7 day Tokyo itinerary as well as some possible day trips from Tokyo! Ever soaked in a wine filled hot spring? How about a coffee hot spring? A green tea hot spring? 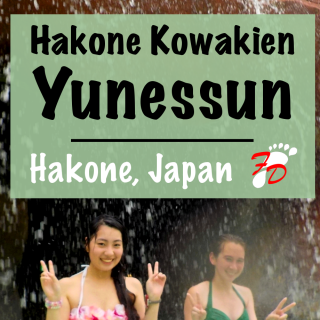 You can do just that at Hakone Kowakien Yunessun Spa and Resort! When I first started researching things to do while studying abroad in Japan, I knew this was something I just had to try. Conveniently, it’s located in Hakone, so I found that it made for a great day trip from Tokyo with some friends! 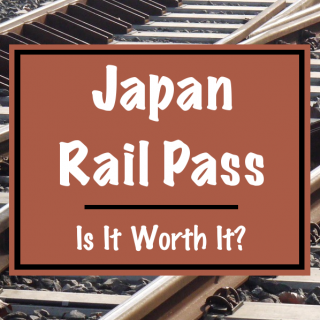 Is the Japan Rail Pass (JR Pass) Worth It? The Japan Rail Pass (JR Pass) is a ticket offered to foreigners that allows you to ride the public transit systems owned and operated by the Japan Railway Company an unlimited number of times for a flat fee. 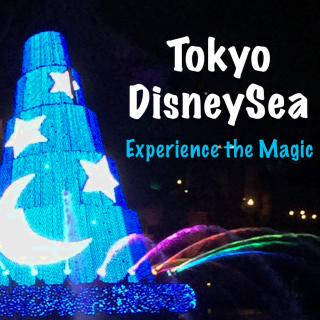 There are different types of JR Passes available for purchase depending on the duration of your stay in Japan. But, is the JR Pass worth it? Is it cheaper than paying for tickets individually or finding an alternate form of transportation? Read the full article to find out! Sendai isn’t quite as popular as other famous cities in Japan such as Tokyo and Kyoto, but that doesn’t mean it has nothing to offer! Not only is it the capital of the Miyagi prefecture, but it is also in the top 15 of Japan’s largest cities. It’s definitely a worthy addition to any Japan itinerary. 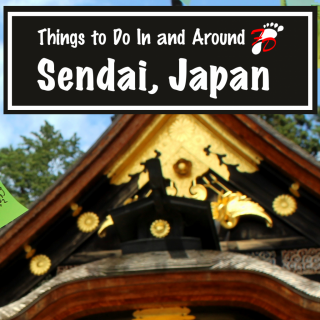 Check out these top things to do in and around Sendai, Japan! 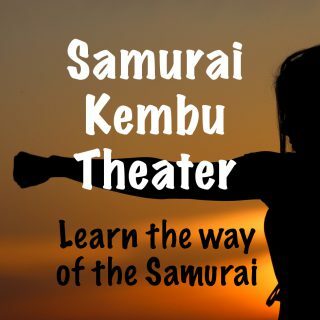 At the Samurai Kembu Theater, visitors get to learn about “Kembu,” the traditional sword art practiced by the ancient samurai of Japan. It traditionally uses a katana (long, curved sword) and fan to convey poems and stories. Visitors can watch performances by masters of Kembu, and then they can even try it out for themselves. It’s definitely a unique, must have experience in Japan for those interested in Japanese culture, history, and society. Nikko, Japan isn’t quite as popular as some of the other bigger cities in Japan, but don’t let that dissuade you. Nikko is full of rich Japanese culture, and you’ll find that it’s much less crowded and not as touristy as some of the other big cities, making it the perfect place to get a first hand encounter with Japanese culture. It’s also a great day trip from Tokyo, so you don’t even have to go out of your way to get there. 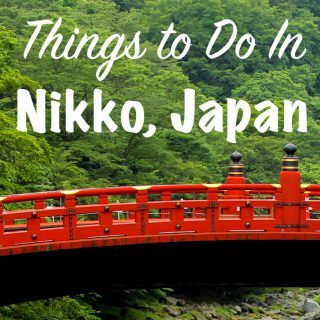 If you’ve got the time, here are some suggestions for things to do in Nikko, Japan. I’ve always loved taking a stroll through a garden, particularly a Japanese garden. It always just feels so peaceful. 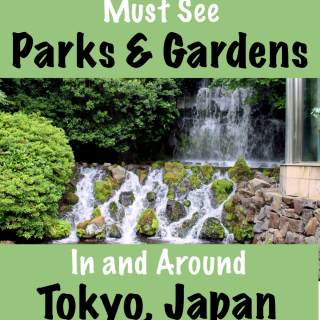 It’s not surprising that, when I finally made it to Japan, I spent a great deal of time exploring the many parks and gardens of Japan. Without any further ado, here are the parks and gardens that made the top of my list. I went bowling at Round1 Entertainment for the first when I was studying abroad in Japan. I lucked out that there was a Round1 close to my dorm and close to my university, so I found myself there quite frequently. Despite my troubles trying to convert American shoe sizes to Japanese shoe sizes so I could rent the correct bowling shoes, I thoroughly enjoyed bowling at Round1 because of their unique Moonlight Strike Game. I’ll be the first to admit that I have no idea how to read a traditional paper map. There’s no point when I can have all the same information and more in the palm of my hand! 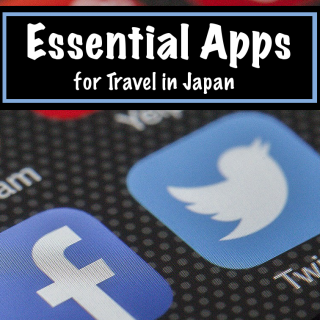 If you are planning on traveling to Japan, there are a lot of apps out there that can help you not only navigate the train system, but also find where to eat, learn some survival phrases, and more! Before you go, make sure you download these essential apps for your trip! Trip planning can be a lot of work. More often than not, it is also very stressful. Thankfully, it's something I enjoy doing (so weird, right?). Through this blog, I aim to inspire other people to travel more and help them realize that anybody can travel with the right amount of planning. Stay up to date with all my recent posts and get a copy of my free workbook, "A Dreamer's Guide to Trip Planning!" Start planning your next trip! What to Pack for Nashville – Are You Ready for Music City? Footsteps of a Dreamer © 2019. All Rights Reserved.